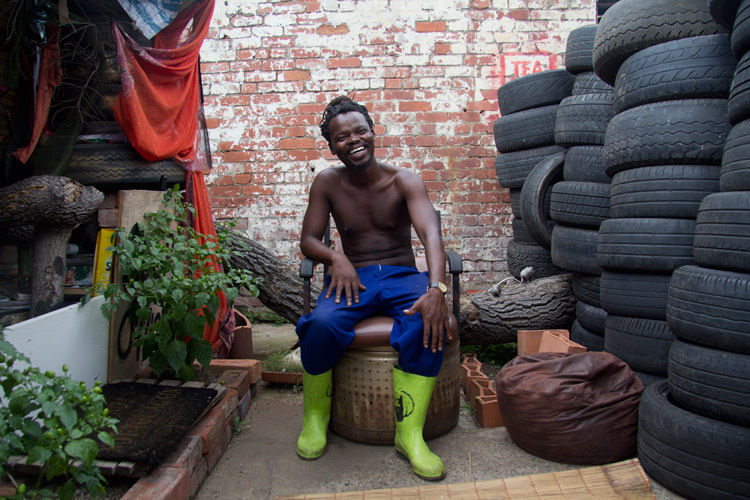 Xolani Hlongwa is the founder of Green Camp; a pioneering independent urban renewal project in Umbilo, Durban. 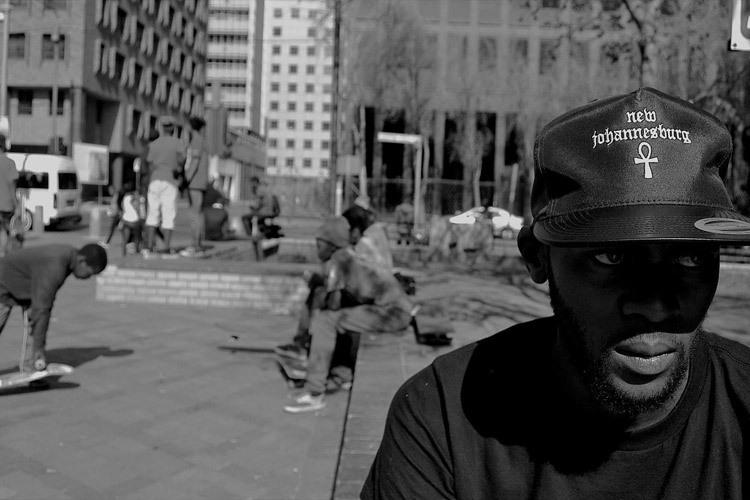 In 2013 Xolani spent weeks walking the streets in search of the perfect space to implement his dream of combining art and urban renewal to drive the green revolution in downtown Durban. He eventually found an old dilapidated house (about to be abolished and turned into a parking lot) and he instantly knew that it was the perfect space. 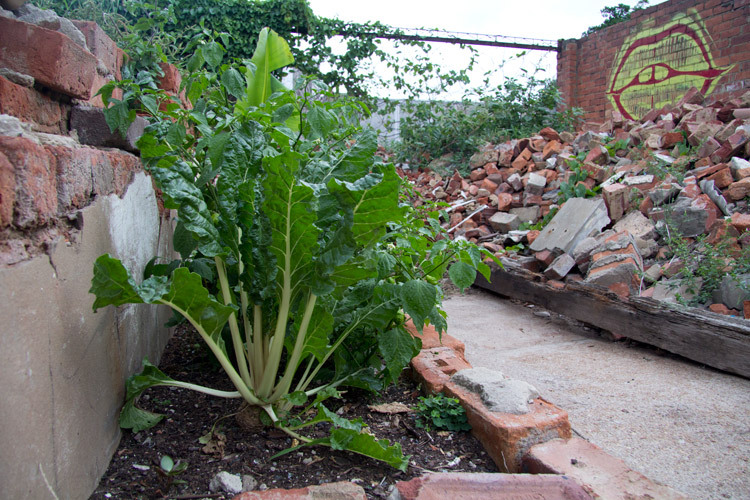 Despite innumerable challenges, Xolani secured a lease for the building and in two years he has transform the neglected space into an outdoor gallery, urban farming and recycling project. 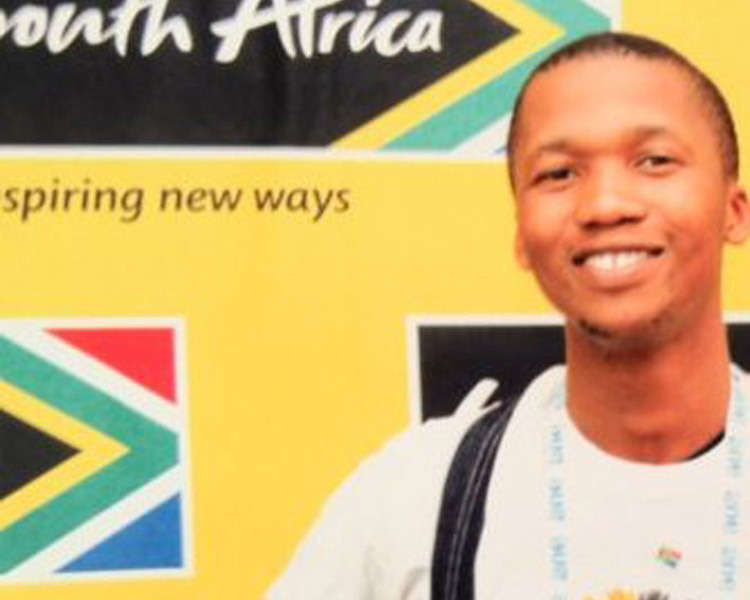 26-year-old Bandile Mdlalose is the Secretary general of Abahlali baseMjondolo. 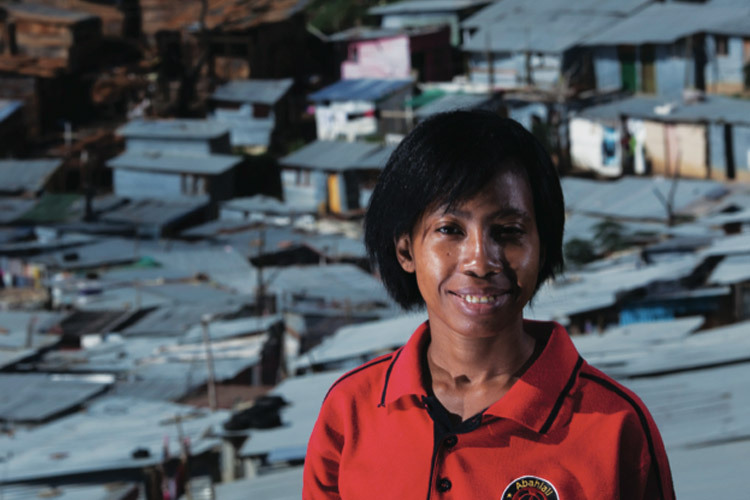 Founded by S’bu Zikhode in 2005, Abahlali baseMjondolo, or “The Shack Dwellers Movement” is pretty much one of the most revolutionary movements of our generation. Known for campaigning against forced evictions and fighting for public housing and better living conditions for the poor, this people’s-movement works toward the politics of truth, freedom and democracy from the bottom up. Bandile is known to argue that “the price of silence is higher than the price of struggle” and despite countless acts of intimidation from ANC members, police brutality and numerous assassinations of Abahlali members, The Shack Dwellers Movement remains zoba strong! More here: abahlali.org and watch Dear Mandela, the award winning documentary film which highlights the forced evictions and Abahlali’s resistance. 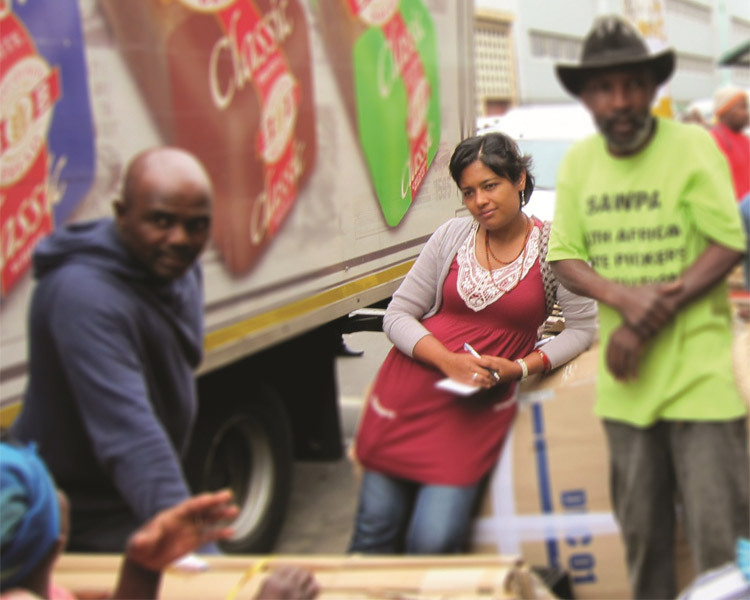 Tasmi Quazi is a research officer at Asiye eTafuleni (AeT) and manager of one of its award-winning projects – the Durban Inner-City Cardboard Recycling Project. AeT is a non-profit organisation focused on promoting and developing good practice and process around inclusive urban planning and design with informal workers such as street traders, waste pickers and anyone making a living from public spaces. Quazi is a master’s graduate of Development Studies and is committed to social service. “The inclusion of these street entrepreneurs is not just important to ensure socio-economic justice of a historically marginalised economic group, but also to celebrate their contributions to the cultural and urban fabric of our cities…” says Tasmi. We dig this Durban sister. 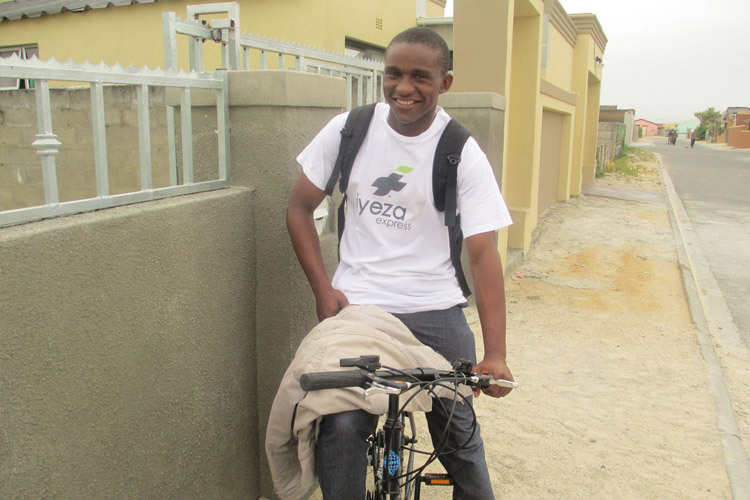 22-year-old Sizwe Nzima is the founder of Iyeza Express – basically a philanthropist-on-wheels service. With the aim of giving everyone access to medication, the business collects chronic medication from public health facilities and delivers it by bicycle to the doorsteps of sick. Iyeza Express operates from two major clinics in Khayelitsha which can see up to 7 000 people collecting chronic medicine per day. If you’re too sick to even get out of bed, that’s a pretty long queue to be waiting in. Together with four other young men from Sizwe’s community (we imagine seriously fit young men) on bikes, Sizwe collects and delivers medicine twice a month, for just 10 bucks. This inspiring young brother kinda puts those “Think Bike” bumper stickers to shame! 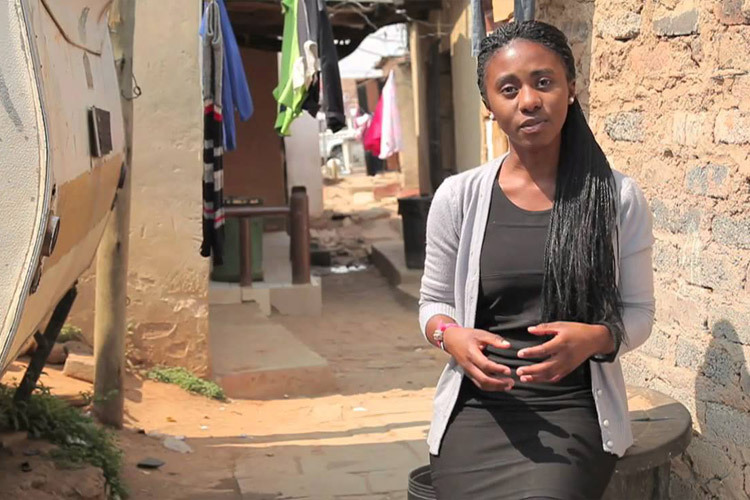 At just 22 years old, Candice Sehoma, is the founder of the Building Blocks Foundation; an organisation that was started in her community in Alexandra township, Jo’burg. At age 19, Candice realised that they couldn’t wait for the government to supply proper toilets in her community, so she went from door to door and organised a meeting where, together with the input from her community, she proposed solutions to the existing bucket toilet system. Today Building Blocks actively involves the residents of Alexandra in the building and maintenance of flushing toilets, and also runs community workshops to raise awareness on sanitation and environmental cleanliness – restoring a sense of dignity in her community. They also paint the coolest designs on their potties! 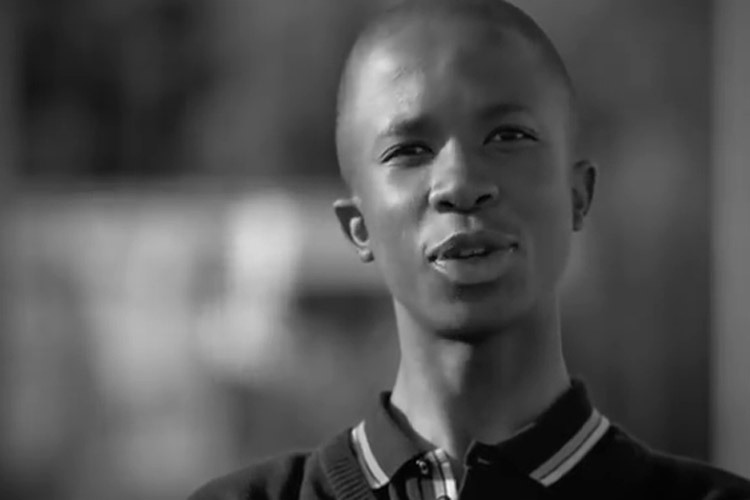 At just 18 years old, Katlego is already a community leader and founder of Sisonke Entertainment. When Katlego was 15, he decided that he didn’t like the destructive paths his peers at school were taking toward drug and alcohol abuse. So he started getting youngsters in his community together on the weekends to engage in extra school lessons and community activities like soccer and board games. Every Saturday about 40 youth meet at Katleho’s school in Qwa Qwa, Free State.  Not only do they do fun group activities but the club has also become a neutral space where young people talk about the issues they are facing in their community and actively seek solutions. Thami Malope is the chairperson and one of the three co-founders of the Playing Our Part Foundation (POP). POP collects food and medical parcels for HIV orphans throughout South Africa. 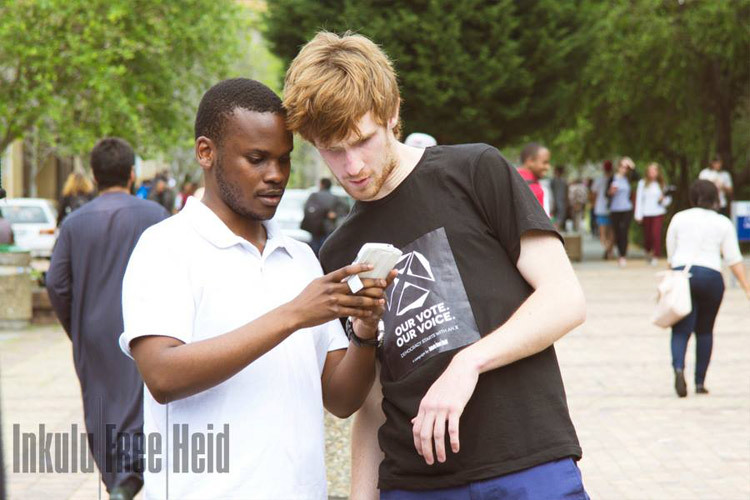 This Non-Governmental Organisation is headed by three passionate young South Africans and throughout the course of 2013 they managed to feed 400 Orphans. Talk about playing a part… these cats took on the lead roles. Apish is the head of coaching and co-founder of the Waves for Change programme based in Muizenberg, Cape Town. Apish grew up in Masiphumelele township and learnt how to swim and surf for the first time eight years ago with Waves for Change founder Tim Conibear. Waves for Change is an HIV, Life-skills and Leadership programme rooted in surfing and today has an award winning curriculum used to stabilise young people who have been negatively affected by unstable community environments. 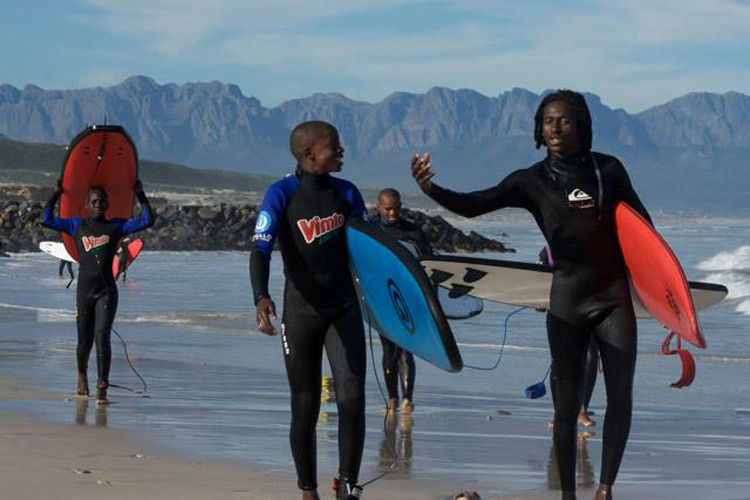 Apish was one of the programme’s first coaches and today runs his own surf school in Muizenberg. They say salt water heals all… those coastal hippies must have been onto something.